It’s happened to all of us. You’re at the store and plan on spending a set dollar amount. Then you see a few deals while walking down the aisles and before you know it, you’ve spent about twice as much as you planned. 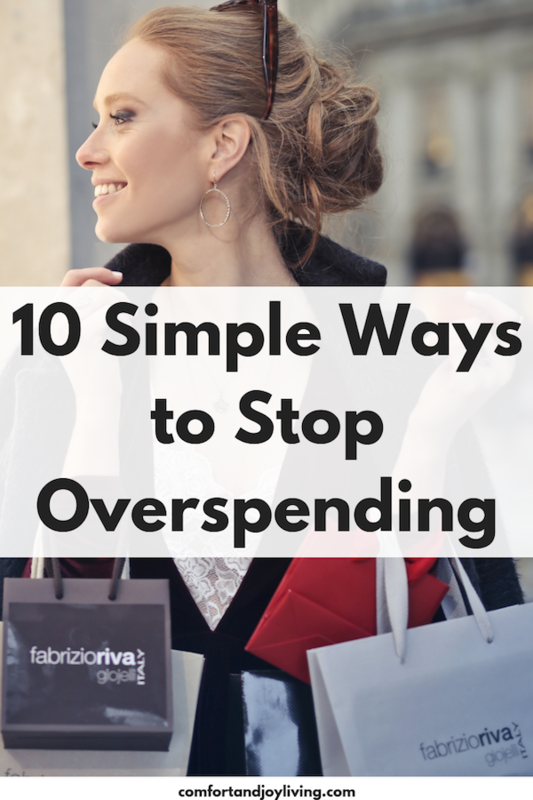 Here are some simple tips to help you from overspending. When you have a budget, you know how much you have to spend on groceries, clothes and more. If you don’t have one, you’ll spend without thinking about how much you’re spending. When you have a budget for $300 for groceries for a two-week period, that is all you can spend. If you spend more than $300, then you’ll wind up taking that money from another category in your budget. 2. Bring a shopping list. Shopping with a list will help you save so much money, and time too. I personally never shop without a list. Lists help you focus on items that you need instead of wandering the aisles. 3. Keep track of how much your spending. As you’re placing items in your shopping cart, add up the prices on your phone so you won’t have any surprises when you get to the checkout lane. When you have $50 to spend, you are much more aware of what you are placing in your cart, because you have a limited amount to spend. However, when using a credit or debit card, you aren’t as aware of the total amount you are shopping. When shopping, avoid the clearance aisles and end caps. These get you to spend more money than you planned. You walk down the aisle and see the end cap with the large SALE sign on top. If you don’t need what’s on sale, don’t buy it. Also, don’t go down the clearance section. You may find yourself picking up items you don’t need. Also, use good judgement when using coupons. It is quite tempting to use a coupon to get a good deal. But if you use a coupon to purchase something you don’t really need, you’re not really saving money. How many times have you replaced something only to find the original one later on. When you are organized, you don’t wind up buying double because you can’t find an item. Also, when you declutter, you may find a lot of items that you’ve spent your money on and no longer use. It makes you take a good look of where you are spending. If you go out to the stores simply out of boredom, you’re probably going to spend money. Even if you’re just “window shopping”, you may wind up going into the store and purchasing something you don’t need. If you shop out of boredom, find something else to do. Take a walk, play with your kids, read a book. 8. Keep your emotions out of shopping. One tip is to never shop hungry. When you shop when you’re hungry, your stomach is in control. When feeling bad about myself, I used to go out and buy something. But spending more money never made me feel better. There are a lot of emotions attached to spending. Identify which ones trigger that response and find another way to fulfill that need. 9. Define needs vs. wants. Yes, you need food, but is the extra box of cookies a necessity? Yes, you love the sweater, but is it something you need or just want. Before you make any purchase, ask yourself “is this a need or a want. It’s important to try to save first and spend later. Remember that the amount you can spend is the amount left over after your bills are paid and you pay yourself.